Business View Magazine interviews representatives from Innegra Technologies, as part of our focus on the composites industry. 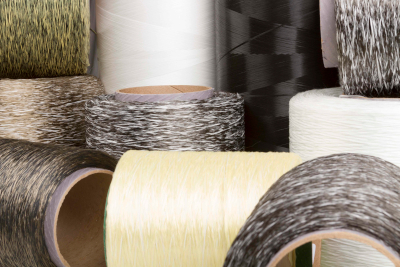 Innegra Technologies, headquartered in Greenville, South Carolina, is an advanced materials company that delivers innovative high performance fibers which improve the performance of composite and textile applications. Innegra’s initial product, Innegra S, an olefin-based, multifilament fiber, was first developed in 2004 by a company called Innegrity LCC, with commercial production beginning in 2009. 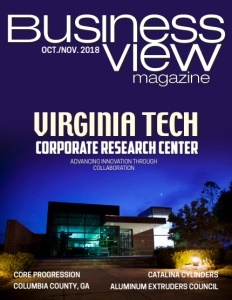 “There was an innovator who had developed this yarn technology and had gotten to a pilot scale manufacturing, and was in the process of trying to raise a substantial amount of money in the economic downturn, and ran out of funds,” recounts Elizabeth Cates, Vice President of Research and Development. A local investment group, Circle Creek Holdings, purchased the assets of the previous company in 2011, and renamed it Innegra Technologies; production resumed in 2012. Cates continues, “When we restarted the company, we looked at the business justifications for this fiber technology, what it could do, and we recognized that there was a lot we needed to learn about the material, before we [could] take it to more technically demanding markets. 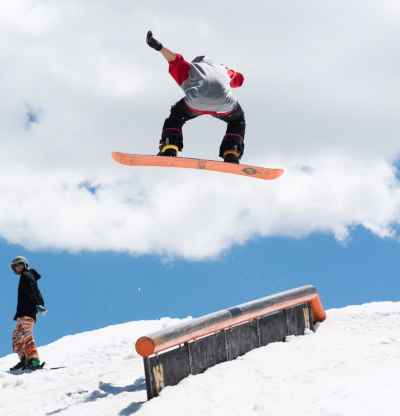 So, we elected to focus, initially, on recreational sporting goods because that market has a very fast product development cycle time and can provide a lot of fast feedback. And while the individual opportunities, by themselves, may be relatively small in terms of material consumption, the market, itself, presented a reasonable opportunity. “When we decided to focus on the sporting goods market, we didn’t have a lot of technical data to support this fiber in composites. There were end users who had developed that information for themselves, but we didn’t provide it, internally. So, we took advantage, the first two years, to build a technical data set that we could share broadly across different markets to enable users. That meant having composites fabricated in various different laminate configurations and having a third-party lab complete the testing so that we could report unbiased test data to the market for use and development. 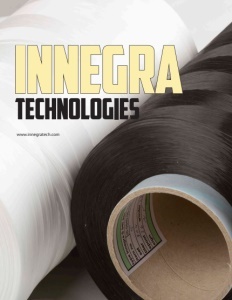 More research and development discovered many more attributes of Innegra’s two flagship products – Innegra S, and Innegra H, hybridized, multifilament fibers containing Innegra S and high modulus fibers, including, but not limited to basalt, carbon, glass, and aramid (a class of heat-resistant and strong synthetic polymers, related to nylon), which are intermingled at the filament level in a variety of combinations. As Innegra Technologies continues to learn more about its products’ attributes, educating its end users, as well as the weaving companies that fabricate its yarns into different reinforcement structures – woven, knit, braided – depending on need, is a main focus of the company. “We spend time with end users,” Hanna explains, “even though they’re not our direct customers. We will go to the product developers and help educate them on Innegra, since the fiber is still relatively new. We, as a company offer our support in the design and engineering work – any kind of support that they might need to be able to work with a new material, figure out what the benefits are, and how best to use it, so that we can reduce their time in trial and error. We also have relationships with the supply chain and educate and support them to get the word out about the material and what it can do. Even though Innegra Technologies is a small company, it manages to have a global footprint because of its worldwide network of weavers. “Let’s say we have 20-40 weavers across the globe, and they have sales forces that are actually selling the woven goods. If we have a good rapport with their sales teams, it expands our reach,” Hanna states. Check out this handpicked feature on Catalina Cylinders – Navigating the new paradigm.